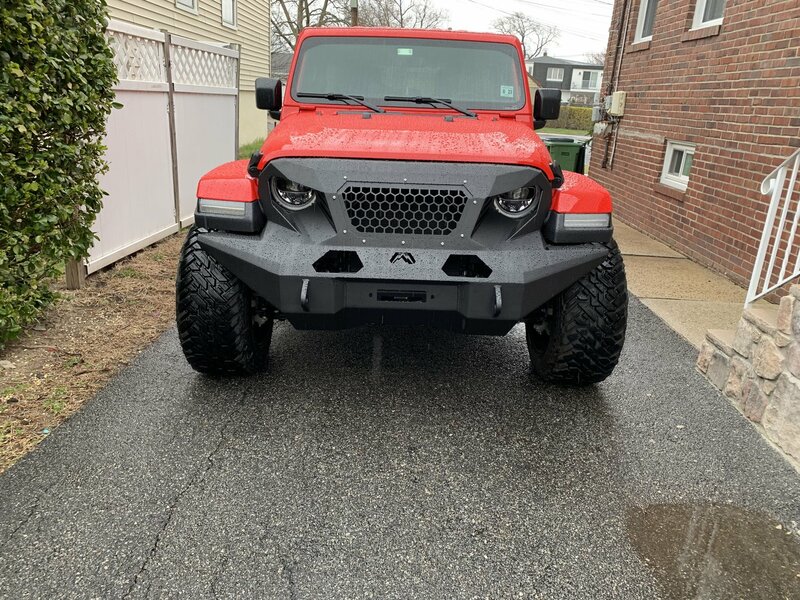 Adding a full width bumper to your Wrangler JL gives you a beefier look but the Full Width Grumper adds so much more in appearance & performance. 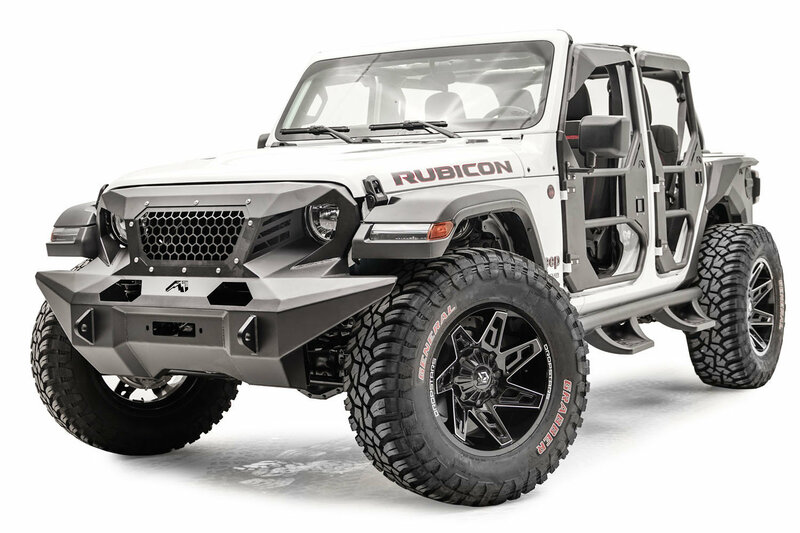 Let's start with the appearance upgrade, your JL will stand out from the crowd easily with a look that just screams off-road conqueror. From the performance end of things you will be able to run larger tires as well as increased air flow from the side vents & large mesh insert. Comes with integrated d-ring mounts that hold up to 7/8 shackles and the famous angry eye cut outs everyone has come to love, this Grumper can accommodate larger winches such as Warn's Zeon winches. 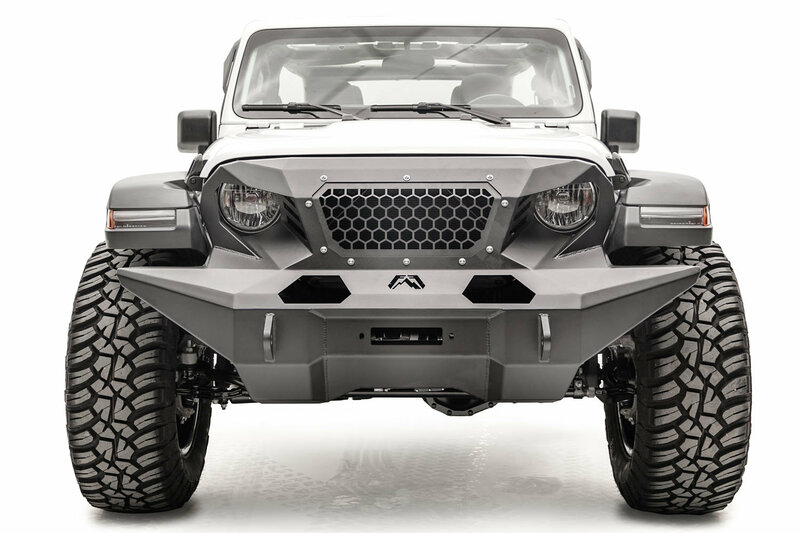 Design: Focusing on an aggressive off-road look the Grumper combines the grille with a front full width winch bumper that is designed to give you extra clearance for larger tires along with side vents & a large mesh insert allowing for premium air flow to your engine. D-ring mounts add some extra recovery points and an optional light bar insert is available to accommodate most 20" LED light bars. If you have a larger winch like a Zeon from Warn no problem the Grumper has the ability to fit one in there. Construction: Made from 11 gauge steel the Grumper is as strong as it looks. As an added bonus in the protection department is an integrated crash bar cover to protect your crash bar on your JL. Installation: Even though the Grumper looks like it a complex install it really isn't. Minor cutting is the only modification you will need to do for installation.